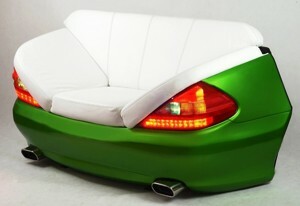 Car Sofa are made from real cars, which parts has been carefully restored, there are equipped with a top car paints and high-quality padded leather. 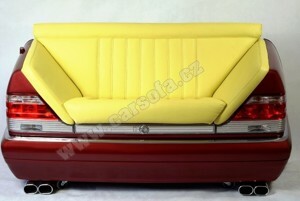 We are able to made the CARSOFA from any parts of the car. Each piece is a original and are made exactly according customer´s requirements and expectations. 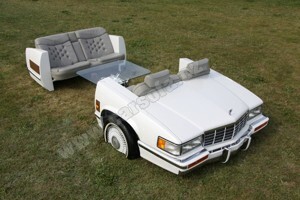 We can made the CARSOFA in the shape and size of chairs, sofas, table or the other interior complement. 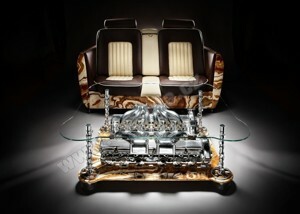 Individual customers who demand top quality, luxury product and original design. 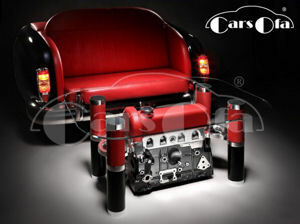 Car showrooms, service station, stores of spare parts and equipment for a motorists. Bars, restaurants, hotels and entertainment businesses. Color or color combination.To the Car Sofa we can use the 3D film , which to allow selection from amount of desing, the original design or placement of advertising logos. Material and color of the upholstery. 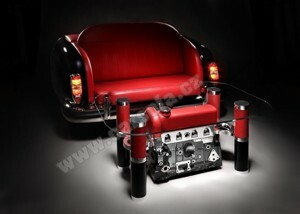 Accessories such as lighting, audio / video / TV set, carpower outlet, etc. 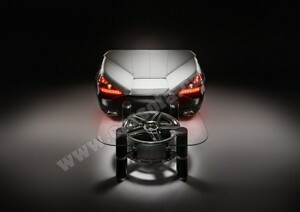 We choose appropriate car acording to customer´s requiremenst. We prepare graphic design of finished product. 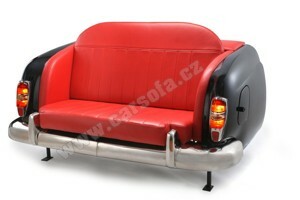 Delivery time CARSOFA are two or three weeks after receiving the required car´s body. 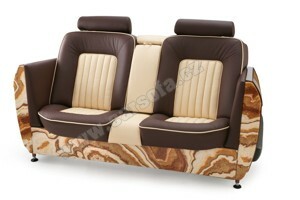 The prices of CARSOFA are range from 4 000 EUR on depending the type of car and required equipment. Price of each piece is individually calculated. 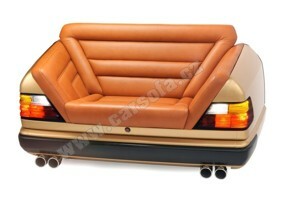 Car Sofa deliver directly to you.